This is a nice pattern with four different handbags. All views are lined and have inside pocket. All have neat zippers along the top edge. 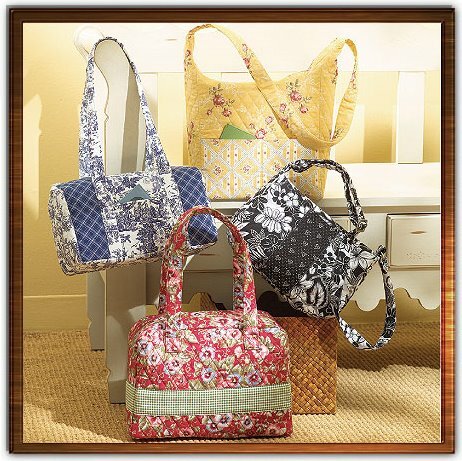 HANDBAGS: Package includes patterns and instructions for four bags. Bag A: 10" W x 8" L; contrast front band. Bag B: 12" W x 8" L; contrast bands. Bag C: 10" W x 9" L; contrast front pocket. Bag D: 11" W x 6" L; contrast side bands.